Peter Stanley cleverly weaves his narrative around striking images [from the National Library’s collection]—many never seen before—to create a visual history that immerses the reader in each moment. Peter has selected documents, photographs, artefacts, and images—drawings, prints, postcards, advertisements, souvenirs, song-sheets, posters, leaflets, maps, and cartoons—which together tell stories of battles overseas with Turks and Germans, and battles at home, for and against conscription, over “loyalty” and “disloyalty”, and the war’s many imposts on Australia’s people. 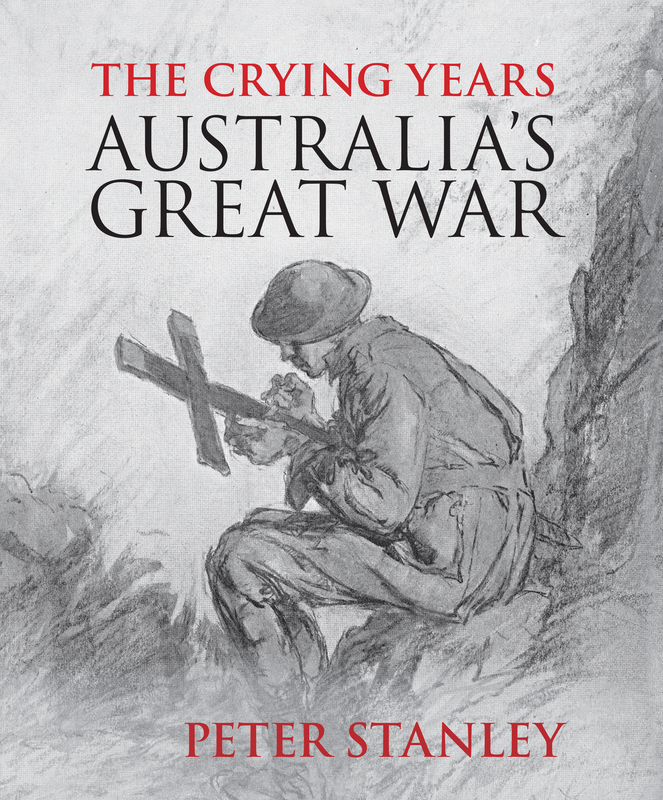 A century on, [Stanley concludes his book] Australia seems still to bear the burden of the Great War. Australians continue to “remember” the war and a large number of families take personal pride in the service of great-great uncles and other relatives. The fervour of their regard for those men (and especially those who died) motivates much Australian commemoration, overwhelmingly among “old” Anglo-Celtic Australia. The memories of the slight majority who opposed war or conscription, and even more of the substantial minority who refrained from becoming involved in the war at all, are much less apparent in modern Australia. While no-one would gainsay the legitimacy of Australians commemorating the service and sacrifice of their forebears, it is desirable and necessary to moderate the rhetoric still surrounding the war, which still seems to be driven by the agenda of the patriotic middle class of 1914-1918, who so fervently believed, against the weight of evidence, that the deaths of 60,000 or more Australians in this war were worthwhile. As this book shows, the full story of Australia’s Great War is much more complex and demands of us an awareness of its ramifications for that Australia and for us, a century on, in contemplating “their first great war”. There is a review note in Fairfax by Steven Carroll which refers to ‘the sombre and complex nature of the times and the crassness of attempts to appropriate them and the Anzac myth for political purposes’. There is a longer review by Janine Rizzetti in the excellent The Resident Judge of Port Phillip blog: ‘Even if you’ve decided to steer clear of all the World War I commemoration tsunami, you could read and look at just this one book alone and gain a nuanced, rounded and informed perspective on the war, not just on the front but in the suburbs and small towns of Australia as well.’ Another review by Ashleigh Meikle and a radio chat with the author plus extracts in Google Books.